A newcomer to Ireland arrives on a rainy day. He gets up the next day and it is raining. It also rains the day after that, and the day after that. The kid says: How do I know? I’m only six! This year we have got a proper summer, no jokes! 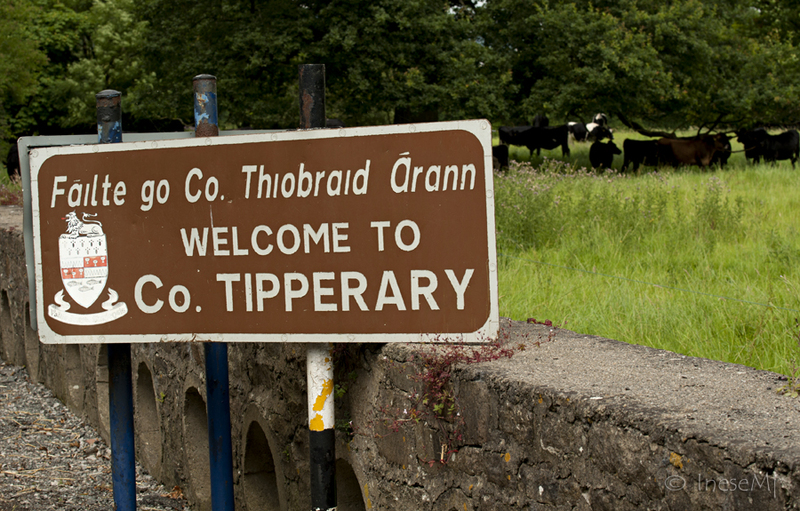 🙂 County Tipperary has been bathing in sun since June. 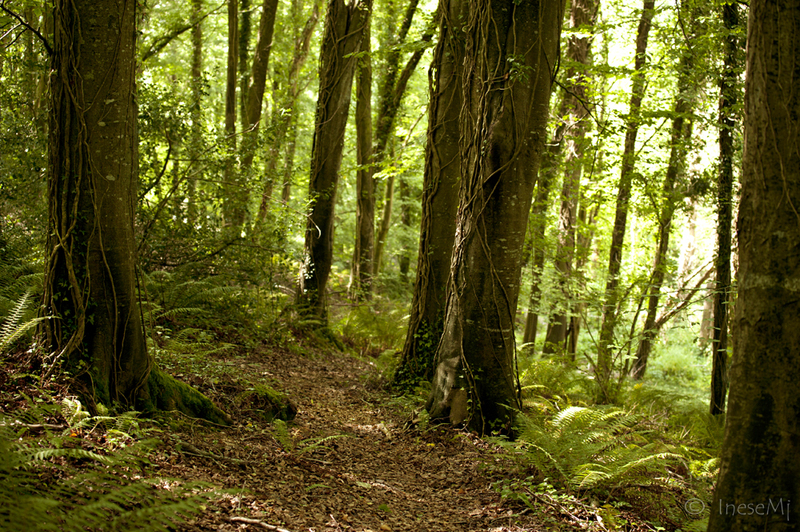 It was one of the hottest days when I went to Kilsheelan, and I thought I would walk a little bit by the river. 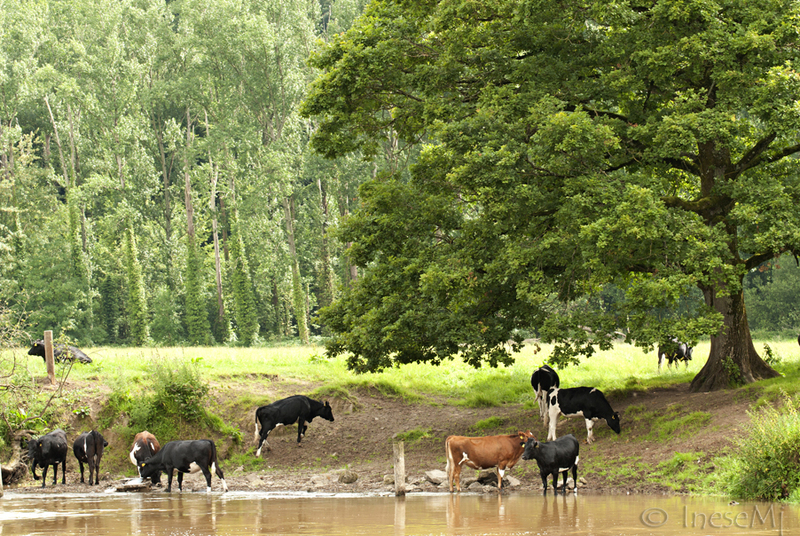 The cows on the opposite bank enjoyed the shade of a giant Oak tree and drank from the river till they were full. Then they laid down for a nap, black islands in the sea of grass. 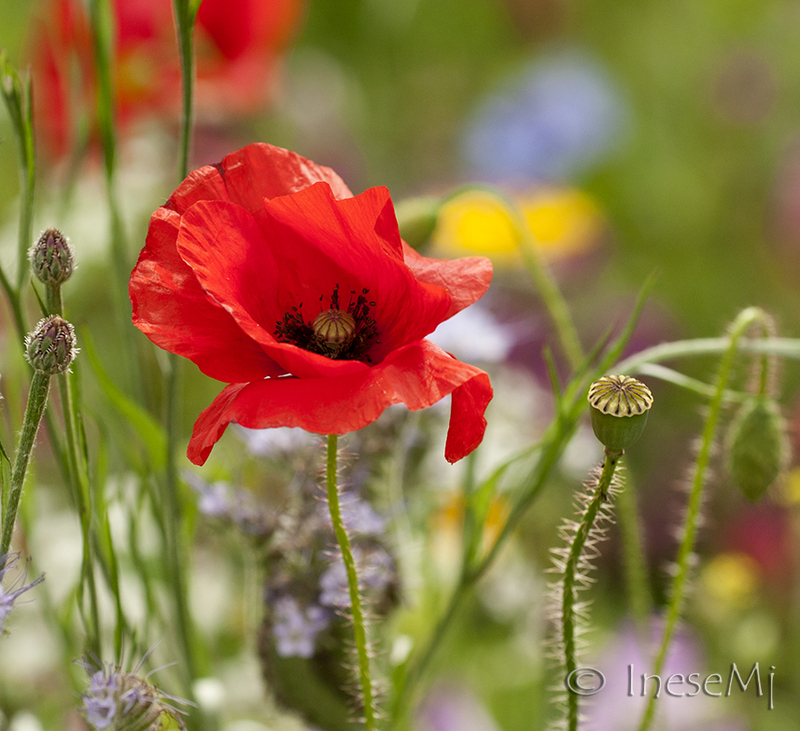 What a pleasure to walk along a path lined with lush grasses and delicate wild flowers. 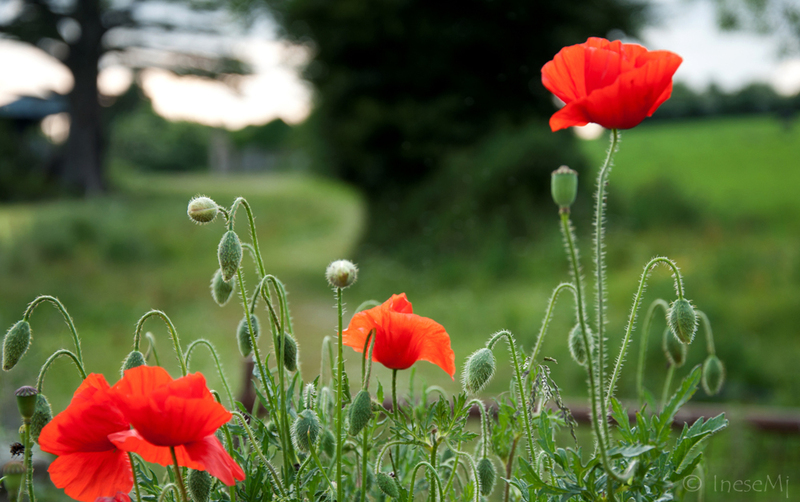 My summer favorite is poppy flower. 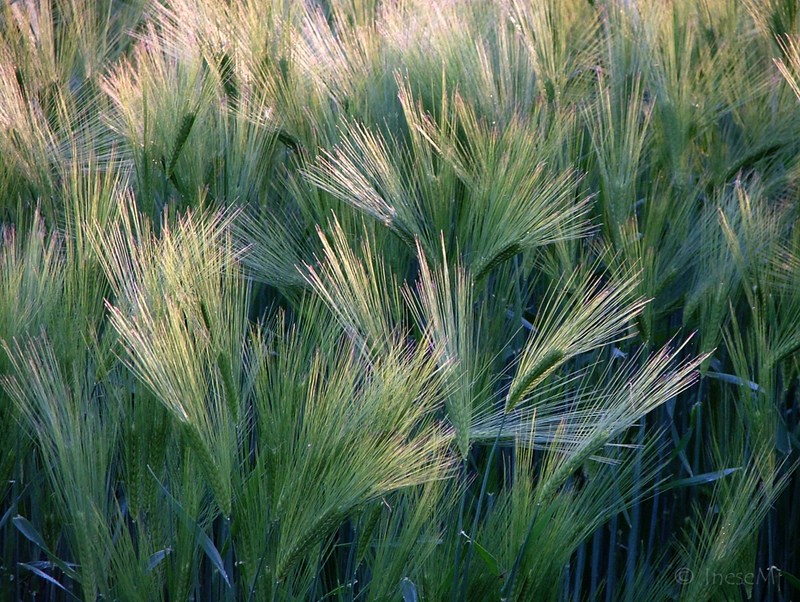 Another favorite is crop field. I love to take pictures of them in any weather, morning or night, and at any stage of their growth and harvest. What a fascinating sight they make, waving in the wind! Abundance of sunlight this summer makes the greenery richer and foliage ticker. …or under the thick canopy of linden trees in the churchyard. What the summer looks like where you live? Photography tip of the day: When the sun is high shoot your portraits in the open shade. Beautiful pictures! You really capture the beauty! Thanks. Thank you so much for your kind comment, Patrick! Thank you for stopping by! Are there any images of your artworks somewhere on your blog? Sheri – sometimes I complain about the rain, but I know that the heat is much more difficult to bear. You are right about the tragedies though. Many people live in the areas where the weather can turn deadly. Portraits in open shade are lovely here in the South…and often the best you can do in the summer when the sun shines for so long and so hard is to hide in the shade and enjoy the natural filter! Hope you have the weather you want for your farm activities. Open shade is my favorite light condition. I think that any lens love it. How beautiful! 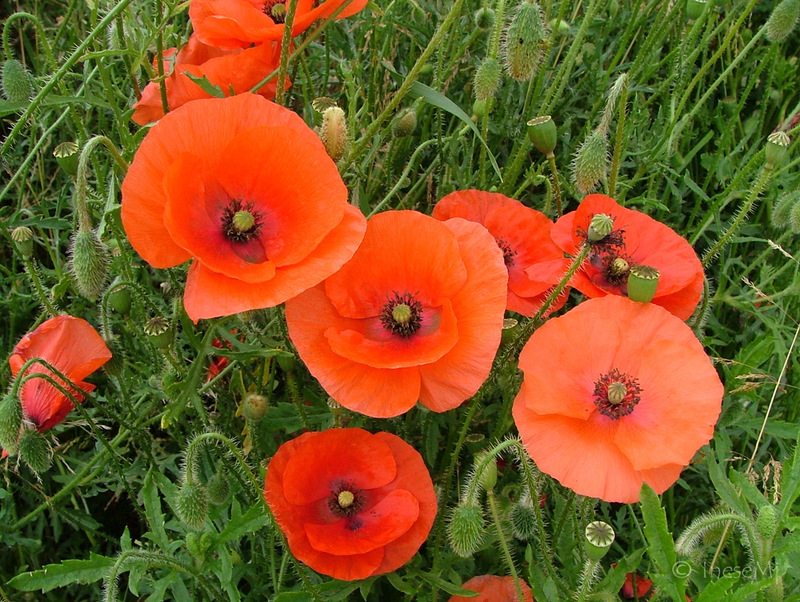 Our poppies are long gone…they last such a short time. And yet they are so, so stunning! Well shot, every photo! Where we live in Colorado, with primary views of mountains blocking the sunsets, we have beautiful scenes, but not your variety. 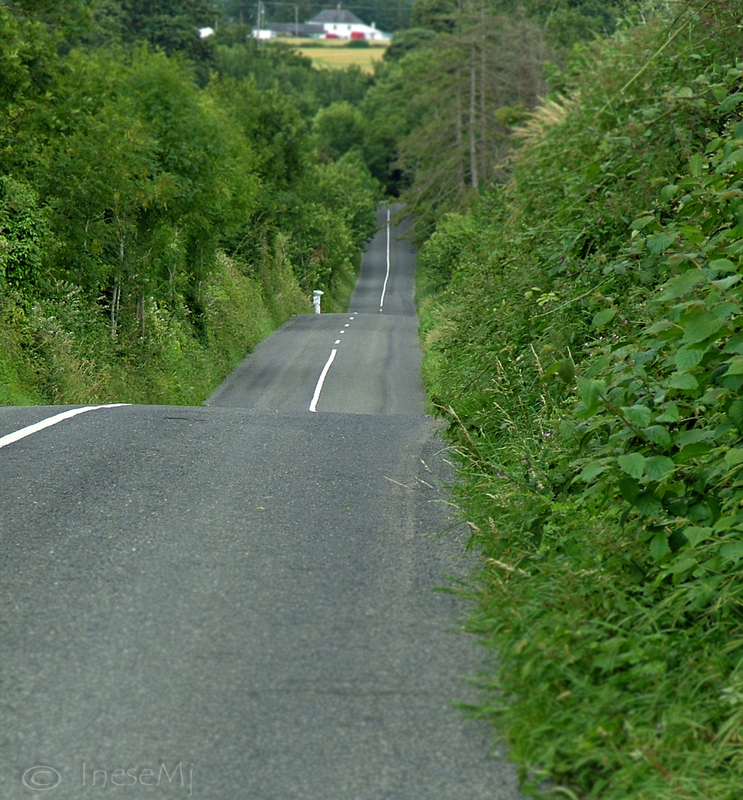 Especially the rolling ribbons of road, so lush and vivid, welcoming the viewer to come on a green adventure. More great insight about Ireland with some wonderful images. Dear Aquileana, thank you for visiting! It is getting colder here, so I thought I would post something to remind me of summer 🙂 Happy week to you too! 🙂 Hugs! A couple of months in a row? Oh wow! That’s a bit much but thats OK with me. I don’t melt in the rain. 🙂 Always happy to be able to visit your wonderful blog. Happy Sunday! Thanks for reminding me of how beautiful Ireland is. I was there back in 1984. It’s still the Emerald Isle. Patricia, thank you very much for your nice comment! Hope you have great memories and my blog brings them back every time you read! Have a good week! Summer here has been warm and rainy every other week or so. Nothing drastic, yet. But August usually gives us one last heat wave. Maybe it will skip us this year? We’ll see. What a lovely visit that was. Thanks for bringing me along (virtually anyway). Hugs! Thank you! 🙂 Have a good weekend and a decent weather! 🙂 Hugs! So close to the nature! I can see you have a wonderful walk without any rain drops 😊 Beautiful photos too, thank you for sharing them! Hot and humid, it is not funny at all… but people somehow get used to where they live, and even make jokes:) Do you have any weather jokes in Florida? Sounds like a few of my visits to the both countries, sure do miss them and their people. Thank you so much for sharing! So glad that you have good memories about Ireland and Scotland, and also glad that the Cold war didn’t turn into a real one. Inese! That was so funny. Hahaha! I absolutely love your pictures and stories. It is one if my greatest desires to go to Ireland one day. Fun blog with some excellent pictures! 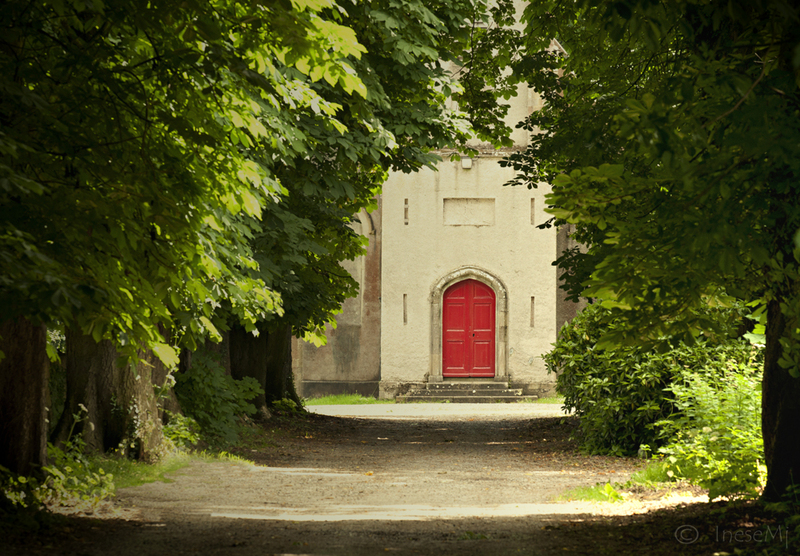 Lovely images Inese, I particularly like that red door through the trees. We’ve also had an unusually hot summer and I’m glad that autumn is beginning to make itself felt. The nights are getting chilly, aren’t they. They are, we have gales howling around the house at the moment. I would be happy to have a ‘proper’ winter this year – a bit of snow, some nice crisp frosty days, last year it was just rain and mud. Oh I know 😦 Dry crispy air and no wind. Those are some stunning pictures. The summer here in Edmonton Alberta is quite hot. We get warm days but this summer we are getting hot days up around plus thirty degrees celcius for a couple of weeks now. But I dare not complain, the winters are long and brutal. Your winter temperature must be goes down to minus 30 ? Yes. And then some. It’s the wind that makes it so much colder. In winter the temperature isn’t nearly as important as the “wind chill factor” which can make the real feel of the day minus forty or so. I do not miss the arid plains. We live in Tallahassee, Florida, now and are no strangers to rain and humidity. I absolutely love your blog and have begun sharing your posts on my Facebook page. Florida must be very rich in vegetation, and very humid. Hope you have a quiet winter! Beautiful photos! The red in the flowers is intense. Summer in Las Vegas is scorching, usual daytime highs are over 100F but this is the Mojave desert. It never snows here and rains very little. What an incredible walk through the green and flowery fields of Ireland. If you love rain, then you must love Irelando. And viceversa. And you must love W.B. Yeats too, in my opinion at least… That joke at the beginning made me really laugh… Thanks, Inese, for the moment of joy and beauty. that is a great journey – I had the pleasure to visit this location, amazing history and combination of difference cultures! Thank you for visiting! 🙂 What the summer looks like in where you live? I live on an Island, surrounded with ocean, beautiful sunrise and sunset. Like a small Europe!! So, the summer all over the year then? Lucky you! Thank you – You are welcome any time! !